My only knowledge of Tucker Carlson was limited and superficial before reading this book. Like most people my age (mid-twenties), I had seen videos of his Fox show on Youtube. I had a neutral opinion of him, found him sometimes right, sometimes wrong, sometimes open-minded, sometimes stubborn, etc. 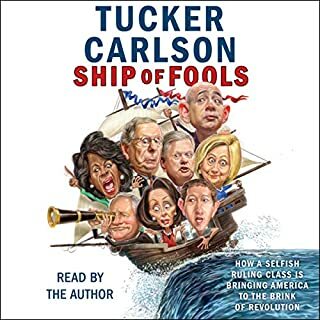 This audiobook is a deep dive into Carlson’s opinion on different topics (most of them politically charged), and it is not what you’d expect. This format allows him to throughly develop his positions and opinions in a way he simply could not do on his show. I devoured the book within a few days. Once you’re done listening to the book, I recommend you go watch his interview with Ben Shapiro during one his recent “Sunday Special”. It’s on Youtube and it’s a great one. Enjoy!